Dezan Shira & Associates' Managing Partner Alberto Vettoretti will be The Leading Edge Alliance's (LEA) Europe Conference in Warsaw, Poland from Thursday, April 23rd to Saturday, April 25th. While in Poland, he will also meet with the firm's European clients and partners. 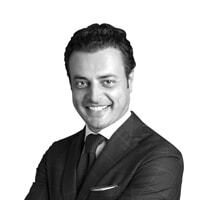 Mr. Vettoretti directly oversees Dezan Shira & Associates' operations in China, Hong Kong and Vietnam. He is experienced in corporate structuring, tax planning and legal and management issues affecting foreign-invested enterprises. Furthermore, he is currently the Chairman of the European Chamber of Commerce, South China Chapter and an International Advisor to the Guangzhou Government. Founded in 1999, LEA is the second largest international association in the world, creating a high-quality alliance of 220 firms focused on accounting, financial and business advisory services. LEA Global firms operate from more than 617 offices in 106 countries, giving clients of LEA Global firms access to the knowledge, skills and experience of 2,222 partners and 23,437 staff members. LEA Global firms' combined annual revenue totals more than $3 billion. LEA firms' unique alliance enables them to maintain their independence, while working together to provide professional client service and valuable access to understand the cultural and commercial norms across the globe. POLAND CONSULTING Sp. z o.o.